In 53 B.C.E., the Roman Triumvir Marcus Licinius Crassus led his army against that of the Parthians in the arid land of Carrhae in Mesopotamia. Crassus’ intentions were all but noble, as he was most likely invading Parthia with the either the “desire to rival the military exploits of Caesar and Pompey,” or “add to his already legendary fortune” (Mattern-Parkes, 2003, p. 387). Parthia had been going through a lot of internal conflict over succession after King Phraates IV died, so Crassus was under that impression that he could easily conquer the Parthians amid the chaos. Without the consent of the Senate, Crassus led his army of around 36,000 men across the Euphrates River and began his campaign (Bunson, 2002, p. 97). Among his officers were his son, Publius Crassus, and Cassius, who would later be involved in the assassination of Julius Caesar (Bunson, 2002, p. 97). Shown below are the generals of this great battle- the bust of Crassus and a bronze statue that is most likely of the Parthian general Surena (cjh1452000 (Wikipedia), 2009; Julia W (Wikipedia), 2010). The Parthian successor Orodes was not oblivious to Crassus’ moves, and gave command of all the Parthian forces to a general named Surena, who, despite having a much smaller army than Crassus, had a number of advantages for the battle. For one thing, the Parthians’ mostly cavalry force was made up of “heavy-armed cataphracts and mounted archers” that were “legendarily accurate bowmen,” giving them the edge on the flat plains of Carrhae (Mattern-Parkes, 2003, p. 388; Bunson, 2002, p. 97). A huge mistake Crassus made that benefited the Parthians was that he left the Euphrates River, his only supply line, to meet General Surena’s army (Mattern-Parkes, 2003, p. 388). Without those supplies, the Roman soldiers, who were unaccustomed to the region, would feel the horrible effects of hunger and thirst in the deserts of Carrhae. If the circumstances weren’t bad enough, Crassus’ army was encircled and ambushed by Surena, causing his soldiers to panic. Crassus hastily ordered the formation of a defensive square, but his son Publius charged the Parthians to buy the Romans more time to form up. Publius’ bravery was short-lived, though, as he was separated from the main line of Roman forces, and his whole detachment was slaughtered, his own head being cut off and put on a spear (Bunson, 2002, p. 97). His death was demoralizing to the rest of the troops, and Crassus was unable to console them. The disheartened Romans were doomed from the start, due to the superior Parthian tactics, “[f]or if they decided to lock shields” to block the incoming arrows, “the pikemen were upon them in a rush,” but “if they extended their ranks to avoid this, they would be struck with the arrows” (Dio Cassius, 1914 Trans., p. 437). The Parthian army “fought at long range” and on horseback, so the legions were unable to engage their more “mobile opponents” (Matyszak, 2003, p. 179). Crassus tried to keep his men in order, but with the Parthians raining down arrows on them, they broke down and retreated, “abandoning 4,000 wounded to certain death” (Bunson, 2002, p. 97). Crassus “was in the very extremity of fear, and was distraught by the terror of the calamity” (Dio Cassius, 1914 Trans., p. 445). 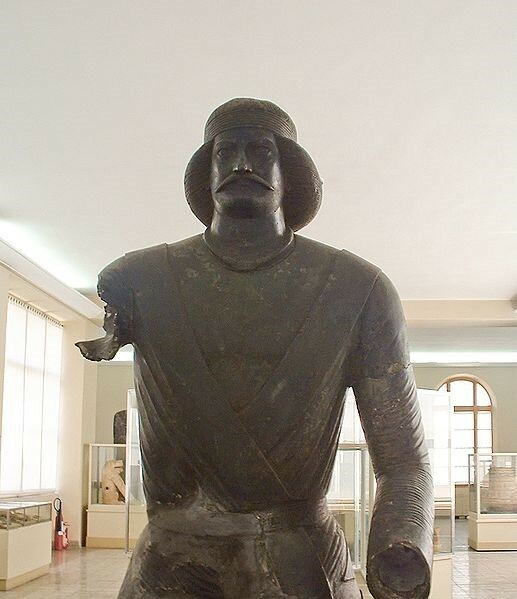 His troubles were far from over, though, as he was pursued by the unrelenting Parthians and the scorching Mesopotamian sun. 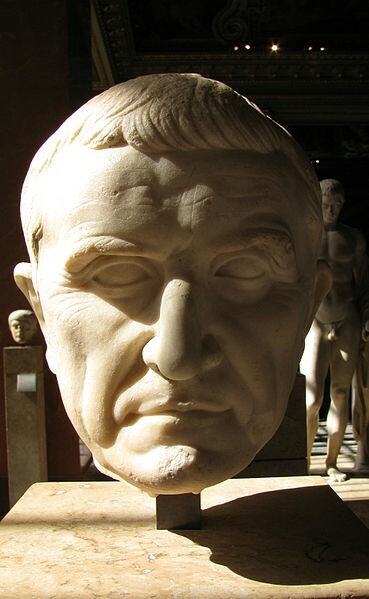 With great reluctance, Crassus agreed to hold a negotiation meeting with Surena, but he was killed in the encounter. There is speculation whether Crassus was killed by a Parthian or “one of his own men to prevent his capture alive,” but whatever the case, his forces were subsequently wiped out, with many others being captured, and their eagles, the standards symbolizing legionary power, were taken by the victorious Parthians (Dio Cassius, 1914 Trans., p. 447). As for Crassus, the Parthians “poured molten gold into his mouth in mockery” of his excessive wealth and greed, and held a mock triumph to further insult the Romans (Dio Cassius, 1914 Trans., p. 447). Crassus’ military campaign could be labeled an “unjust war,” as it was fought on the grounds of personal gain and glory, not retaliation for a past Parthian offense (Mattern-Parkes, 2003, p. 392). With the death of Crassus came the fall of Roman Republic and the emergence of the Empire, as the two surviving triumvirs, Pompey and Julius Caesar, would fight for sole dominance over Rome. Unfortunately for Crassus’ surviving forces, retaliation was out of the question because Rome would become involved in a heated civil war, so the disastrous events that unfolded at Carrhae were never truly reconciled. Carrhae was a horrible loss for the Romans, and a sign that Rome’s greed would only result in tragedy and death. Bunson, M. (2002). Carrhae. In Encyclopedia of the Roman Empire (pp. 96-97). New York, NY: Facts on File, Inc.
Dio Cassius. (1914). Dio’s Roman History Volume III (E. Cary, Trans.). Cambridge, MA: Harvard University Press. Matyszak, P. (2003). Chronicle of the Roman Republic: The Rulers of Ancient Rome from Romulus to Augustus. New York, NY: Thames & Hudson.